I love rainy, lazy Sundays. I just got home from shopping and I’m sitting here in my most favorite jeans. Comfortable but not sloppy. 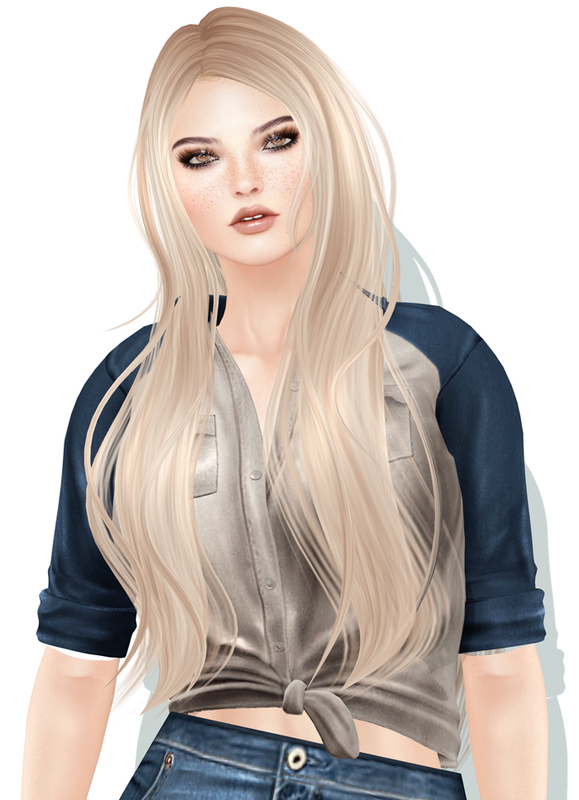 Of course I have favorites in SL too. Until now, those included primarily two: coated denim from ISON and the new Luna rolled cuff jeans from Blueberry. I am now adding Deer Co. Upjeans to my list of new favorites. They’re so well done. Deer Co. is a new brand, launched I think by the same avatars behind Overhigh (OVH), which I have blogged a lot because the texture work is always perfection. Same goes for this brand, which seems more whimsical and young. There are only a few items available today but I am quite sure more is coming. I’m also wearing new hair from Magika called “Restless” and more freckles!! !